Throughout her multifaceted career in journalism and public relations, Linda Faiss sets a standard every Nevada Sagebrush staff member should strive to achieve. The Nevada Sagebrush Alumni Chapter (NSAC) will honor Faiss with the 2016 Frank McCulloch Lifetime Achievement Award at its fifth annual alumni dinner on Friday, Oct. 7 at Pinocchio’s Bar and Grill in Reno. 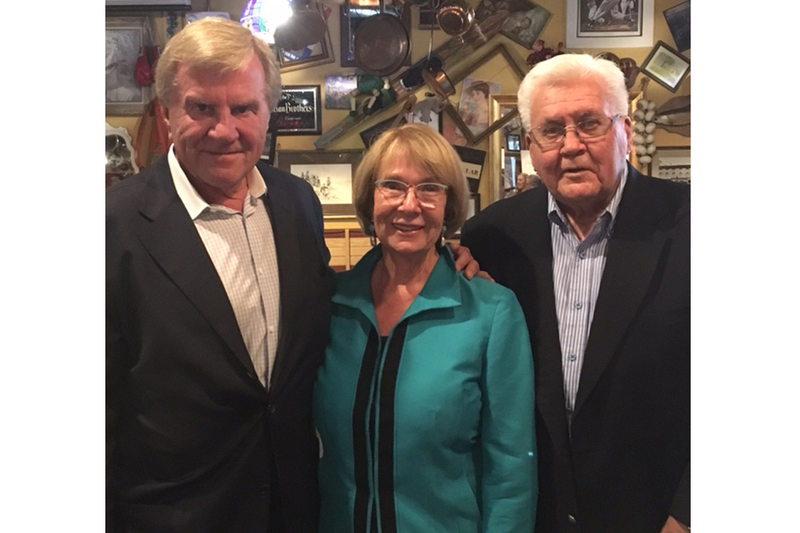 Faiss served as editor-in-chief of The Nevada Sagebrush in 1965, and is now the president and founding partner of Faiss Foley Warren Public Relations & Government Affairs in Las Vegas, Nev. Among her many accomplishments, she served as the public information officer for the City of Las Vegas, city editor of The Valley Times, award-winning reporter for the Reno Evening Gazette and Nevada State Journal, and community affairs director for KHJ Radio in Los Angeles, Calif. The Frank McCulloch Lifetime Achievement Award was created in 2013 to honor the many accomplishments of successful Sagebrush alumni. Past recipients include Guy Clifton, Warren Lerude, and award namesake McCulloch. MuCulloch served as editor-in-chief of The Nevada Sagebrush from 1940-41. He then went onto have a successful career including covering illegal mafia activity for the Reno Evening Gazette, cultivating Howard Hughes as a source and reporting from the frontlines of the Vietnam War for Time magazine and serving as an influential manager of the Los Angeles Times, Sacramento Bee and San Francisco Examiner. NSAC was founded in 2012 to provide an outlet to former staff members of The Nevada Sagebrush, the student-run newspaper at UNR. The organization stands to preserve the history and excellence of the Nevada Sagebrush. Moreover, the group exists to provide professional advice to current staff members of the Nevada Sagebrush while hosting fundraising opportunities to directly aid the betterment of the Nevada Sagebrush and the professional development of its staff. Membership is available for $25/year.